Our frequently asked questions includes answers related not only to buying contact lenses online but health fund issues, details on our privacy and refund policies as well as many other general questions about contact lenses. You also might like to check out our online blogs which contain more detailed information espeically about contact lens wear and associated issues. If the information about buying your contact lenses online or other contact lens issues is not suffiecient and doesn't answer your question please call us on 1300 750 970 or email us at info@contactlens.com.au, we're happy to assist you. If I’m in a Health Fund how do I make a claim? Prior to purchasing your contact lenses from us we recommend that you contact your health fund to ensure that you will recieve the rebate that you are expecting. On purchasing your contact lenses we will provide a receipt that features health fund codes for the contact lenses that you have purchased, the receipt also features a provider number ; 028451RB which is for our Optometrist - Greg Smith. Bupa have a different provider number which is also featured on your reciept ; O066838. Please note that this code starts with a alphabetical, capitalised O, followed by a numerical zero 0. If you encounter any issues with claiming your rebate for your contact lenses please contact us. What happens if I wear my lenses for longer than the intended time? From the first wear, calcium and protein deposits start to build up on the contact lens surface reducing the transmission of oxygen to the cornea. The cornea needs a good supply of oxygen to remain healthy. When the cornea suffers extended oxygen deprivation, blood vessels from surrounding tissues start to grow into the cornea. This eventually interferes with your vision and the health of the eyes. Also oxygen deprivation causes the surface layer of the cornea to become less sensitive and swell. This makes the cornea more prone to bacterial infection. It is easy to prevent these problems. Simply replace your contact lenses as recommended by your Optometrist and give your eyes “oxygen breaks” by putting on your glasses for a few hours. Why do I need to see my Optometrist regularly? As a contact lens wearer it is recommended that your eyes are checked every year. Even if you feel your vision is fine with your current contact lenses each year it is important to make sure wearing your contact lenses are not compromising your eye health. Contact lenses that are no longer suitable, or are worn inappropriately, can make subtle changes to the health of the front of your eyes. If these changes go undetected it can severely reduce your future ability to wear contact lenses comfortably. Many Optometrists will bulk bill the consultation to Medicare. My prescription is over 24 month old can you supply me with contact lenses? Unfortunately your prescription is no longer valid and we cannot supply you. If you wish to continue to wear contact lenses you will need to see your Optometrist for a new prescription. Often this consultation is free if you have a Medicare Card. When booking an appointment with your Optometrist let them know that you require a contact lens prescription, as often your spectacle prescription can be slightly different. I wear my contact lenses for an extended period,why is it so important that I visit my Optometrist every year? It is very important if you wear contact lenses overnight and for extended periods to maintain yearly check ups. These check ups provide protection that your wearing schedule is suitable and isn’t compromising your eye health. I would like to use a different type of lenses from the ones that my Optometrist recommended. There are many contact lenses available, all fit slightly differently and have different features therefore it is advisable that you see your Optometrist if you would like to change. Your Optometrist will be able to advise you of which contact lens would best suit you and provide you with trial lenses so the fit, your comfort and vision can be accessed. Can I wear my contact lenses in the sea ? Daily contact lenses are best for this. In salt water the contact lens can become dehydrated and therefore begin to feel “tight”. If this happens simply add some rewetting drops suitable for contact lens wear, such as Refresh or Blinks this will help to extend your wear time. Can children wear contact lenses ? In the past many people have been told that children could not wear contact lenses until their eyes had "finished growing". This is no longer true with the introduction of disposable soft contact lenses they can be worn at any age. School children can wear contact lenses provided that they show a responsible attitude towards hygiene and looking after their lenses. Children who are always damaging their spectacles or who don't like to wear spectacles are good candidates for contact lenses. I wear progressive lenses in my spectacles can I wear contact lenses ? People who wear these lens types need a corrective prescription for both reading and distance. There are a number of contact lens options to consider ; 1. Progressive contact lens designs are available. 2. Simply wear your distance prescription in contact lenses and then put a reading pair of spectacles over the top of your distance contact lenses when you need to see close up. 3. Mono vision, is a popular choice this system involves one eye wearing your distance vision contact lens and the other eye wearing your near vision contact lens. This may sound odd but it works very well. If these contact lens options appeal the first step is to speak to your Optometrist who can advise you on what is most likely to work the best for you. What is the provider number ? Every registered Optometrist has a provider number. Health Funds like to know this information so they can ensure you are recieving products from a legitimate source that they can then pay the given rebates. Our provider number is 028451RB, our Optometrists name is Greg Smith. This number is featured on your receipt as well as your health fund codes. Bupa have a different provider number which is also featured on the reciept O066838. Why am I suddenly experiencing lens deposits after wearing my lenses for a short time when I’ve never had this problem previously ? The answer maybe be very simple in that it may be related to hand creams or cosmetics and this can be easily rectified by simple removal, cleaning of the lenses and frequent replacement. If the problem persists we recommend you see your optometrist as changes in the eye or allergic reactions need to be professionally monitored. Untreated conditions can lead to an intolerance to contact lens wear. My contact lenses keep falling out. Your eye shape and size is unique to you and so when you see your optometrist for a contact lens fitting, measurements are taken so the correct size, type and brand of lens is prescribed to ensure your ultimate fit and comfort. These sizes include the BC - Base Curve which is used to describe the curvature of your lens and DIA Diametre which is the distance across the surface of the lens. If you're lenses keep falling out, or if you feel like you have a foreign object in your eye, your vision is blurry, you have an ill-fitting lens. If this is the case please check the size that you have ordered is correct and if it is, the next step is to see your optometrist for sizing to be corrected. How do I manage allergies and contact lens wear ? To keep your eyes feeling comfortable when your body is reacting to the allergens be prepared with over the counter treatments including eye drops. Always remove your contact lenses prior to using this type of eye drop and then wait 20 minutes prior to reinserting. Wear daily disposable lenses so you can replace them every day as many allergens can stick to the surface of the lens and continue to irritate your eyes if you are using a two weekly or monthly lens. Clinical trials have shown that lenses made from Etafilcon A such as Johnson and Johnson's 1 Day Acuvue Moist and 1 Day Acuvue Moist for Astigmatism can provide relief for contact lens wearers with allergies. Other tips include ; do not rub your eyes, wash your hands regularly, wash your bed linen in hot water and detergent, don't share contact lenses or eye make up applicators. How do I manage dry eye syndrome and contact lens wear ? Dry eye syndrome is a very common condition which affects contact lens wearers and non wearers alike, with no age barriers. Sufferers often complain of itching, irritated sore red eyes, a feeling of grittiness, tired eyes, occasional blurry vision, sting and burning sensations or a feeling of a foreign object in the eye. There are two main reasons why the eyes become dry ; tear ducts are not producing sufficient lubricating tears or the glands in the eyelids have become blocked and the free flow of natural oils has become greatly reduced. Causes including ; aging, climate conditions, some health conditions such as arthritis, some medications, extensive computer use and smoking. It is important to alleviate this problem not only for your comfort but for the health of your eyes, as untreated scratching can occur on the front of the eye. Using eye drops or artificial tears can provide relief. If you wear contact lenses please ensure that you use one that is suitable for use with contact lenses. Drops can be inserted simply when you feel you need them during the day. There is no need to remove your contact lenses prior to insertion. At night prior to going to bed, insert some lubricating drops you can close your eyes and effectively bathe them in moisture while you sleep. Warm compresses over the eyes for 10 minutes can help unblock the oil glands in the eyelids allowing the free flow of natural oils. Drink plenty of water and limit the caffeine If you are working in an air conditioned environment place a glass of water at your work station to help boost the humidity. As a contact lens wearer it is advisable to see your Eye Care Professional so they can evaluate the problem and change your contact lenses to something that will be more suitable. It is highly unlikely these days that they would suggest discontinuing use, some contact lenses such as the Dailies Total1 is actually being used as a dry eye treatment, the moisture content is so high. There are many options available to you. Can I wear my contact lenses in a chlorine pool ? If swimming in a chlorine pool, without goggles please remove your lenses when you come out. The chlorine molecule is small enough to permeate into the lens material and irritate your eyes if left in. What do I need to be aware of when purchasing my contact lenses with online retailers ? Not all online retailers are based in Australia even if the websites state they are Australian or feature an Australian flag. Therefore contact lenses may be shipped from overseas and the shipping methods, storage and quality controls cannot be guaranteed. These goods are not regulated by the TGA ( Therapeutic Goods Administration) and so could be fake, too strong or weak, contain undisclosed materials, are passed their use by date, and may not be manufactured to appropriate standards. www.comtactlens.com.au is located on the Sunshine Coast Qld, all our product comes directly from the Our Australian suppliers, Johnson and Johnson, Ciba Vision, Cooper Vision, Bausch and Lomb and Gelflex so you can be assured of a quality product. What are the Payment Options and are they Safe and Secure ? 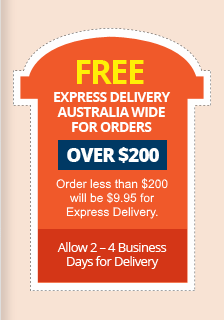 contactlens.com.au uses the eWAY payment gateway for its online credit card transactions. eWay provides a safe and secure means of collecting payments via the internet. All online credit card transactions performed on this site use the eWay gateway are secured payments. Payments are fully automated and advise you straight away if your payment has been successful or not. Your complete credit card number cannot be viewed by contactlens.com.au staff or any outside party. All transactions are performed under 128 Bit SSL (Secure Socket Layer) technology. POLi is an online payment option which facilitates an internet banking payment from your bank account to the bank account held by contactlens.com.au. POLi is a great alternative for people without credit cards or those who would prefer not to use them to shop online. When using POLi it will take you to your login page for your chosen bank. No one can access or see your internet banking login credentials POLi fulfils the payment details within your internet banking for the purchase and you verify and process. Once the payment is successful POLi sends a reciept to the purchaser and the merchant so both parties know straight away that the payment has been processed and is successful. Paypal offers a highly secure way of purchasing over the internet and protects the buyer if goods are not received. PayPal automatically encrypts your confidential information using the Secure Sockets Layer protocol (SSL) with an encryption key length of 128-bits (the highest level commercially available). Before you even register or log in to the PayPal site, the server checks that you're using an approved browser - one that uses SSL 3.0 or higher. In order to use our website it is necessary for you to provide personal information such as your name, delivery address, contact details as well as information in regard to your contact lens purchase. This information is username and password protected, it is collected, stored and encrypted using secure socket layer technology (SSL), a service that we pay for, to provide a high level of security. We do not share any of your details with unknown or unrelated third parties. The related third parties that provide essential services to our business, such as contact lens suppliers and courier services are given information that is relevant to the services or products being provided. However they are prohibited from using your information for any other purpose other than in support of services and the provision of products for contactlens.com.au. The accuracy of your personal information provided by you is your responsibility, contactlens.com.au does not take responsibility for products provided or delivered incorrectly due to incorrect information given. If at any time you wish your account to be "deactivated" or "removed you can request this any time by contact us via email info@contactlens.com.au. “ Deactivation” means that your account is turned off but your historical records are kept. “ Removal” means that all data information is deleted. Are the payment Options Safe and Secure ? POLi does not capture and store your username and password to your internet banking. What is contactlens.com.au refund and returns policy ? When purchasing contact lenses from our website it is necessary that you have a current contact lens prescription that is not older than two years. Please note that contact lens prescriptions are different from spectacle prescriptions and most contact lenses prescribed have a prescription for visual correction, however contact lenses can be "Plano"( no prescription, often for cosmetic contact lenses). To ensure your fit and comfort we recommended that you only buy the type of contact lenses that you have a prescription for and that you have successfully worn previously. When you receive your contact lenses please check PRIOR TO OPENING THE BOX that the type of contact lenses and the prescription is correct. If an error has occurred the contact lenses can be refunded or exchanged if the box is unopened and arrives back to us in resaleble condition. If the error occurred due to the customers incorrect entry of contact lens details the boxes need to be returned unopened and packaged for protection at the customer's expense. Responsibility of the lenses arriving back to us in resaleble condition is the customers; we will not be responsible for lost or damaged returned parcels and advise that the customer returns the parcel insured and tractable. We will resend replacement lenses when the returned parcel is received, the customer will need to pay postage for the second dispatch. If this error occurred due to our processing we will arrange collection and post replacement lenses as quickly as possible. If a transaction needs to be cancelled please contact us on 1300 750 970 with the reason and we'll arrange a refund. No refunds will be issued for a change of mind. If a contact lens is split or the visual performance or comfort is not as it usually is, please do not throw the lens away. Contact us and we will arrange a replacement lens for you, this may require you to return the faulty lens so we can report the faulty batch to the manufacturer. Why do contact lenses have an expiry date ? The reason why contact lenses have expiry dates is the seals on the air tight vials deteriorate over time and so the sterile solution that the lenses are stored in can become compromised. When you purchase contact lenses from us, they come directly from the manufacturers warehouses, this ensures the lenses are "fresh" so it's not unusual for the expiry dates to be a few years in the future. . Using your contact lenses prior to expiry ensures that your lenses are free from contamination and are safe to wear. Why is it important that I hold a copy of my contact lens prescription ? When you see your optometrist for an up date of your contact lens prescription, always ask for a copy for your records. The reason being, if you travel in Australia or overseas and you need to replenish your supply while you're away, you'll often be asked for it. Make sure it features the name of the contact lens that have been prescribed, the base curve, the diameter and the powers for your left and right eye. Can contact lenses get lost and trapped behind the eye ? This is a common question - the answer is "it's impossible." The eyelid has a thin lining call conjunctiva that runs to the back of the lid and folds back on itself to cover the white part of your eye, so effectively creating a little pocket so nothing can become trapped behind the eye. Sometimes if you rub your eye, the lens might become dislodge, fold and become stuck under your upper lid, if this happens insert some eye drops, close your eye and gently massage, in most cases this will move the lens to where you can see it and remove it. If you are unable to remove it pop into your Optometrist. What can I expect from surgically corrected vision ? Lasik is a procedure that corrects the natural curve of your cornea to refocus your vision correctly. Lasik should ideally be considered in your early to late 20’s when your optical prescription has been stable for approximately 2 years. You can expect Lasik to eliminate the need for spectacles for number of year, how many varies as natural eye changes can occur. However, by the time you reach early to mid 40’s your optical prescription will start to change again, and you’ll find you will start to need reading spectacles. The good news is vision without spectacles is still an option when your optical prescription stablises again in your 50’s, only this time a Clear Lens Extraction (CLE) , also referred to as Refractive Lens Exchange is a more likely surgical procedure. CLE replaces your natural lens with either a multifocal lens or lenses for mono vision (one eye reading and one eye distance). It is a good idea to trial these vision options with the use of contact lenses before your natural lens is replaced by surgery. The reason why CLE is often used, is it future proofs your surgically corrected vision by removing the potential for cataracts to develop later in life. With the increasing popularity of multifocal contacts, two new health fund codes were introduced in April 2016 for this growing contact lens catagory. The new codes are 863 and 864. 863 is for 3 months or less supply of multifocal contacts for one eye and 864 is for 3 months or less supply for a pair. We use the code 863 for each box, so if you purchase 3 monthy supply for both eyes your reciept will show 863 x 2 rather than 864 x 1. Most health funds have these new codes in their system, with the exception of BUPA. We have reported this to the team at Bupa and they have assured us that the new multifocal contacts codes will be updated soon. In the meantime if you have any issues claiming your multifocal contacts with Bupa we ask that you contact us so we can alter your reciept to reflect the old codes we used to use for Bifocal contact lenses 861 and 862.